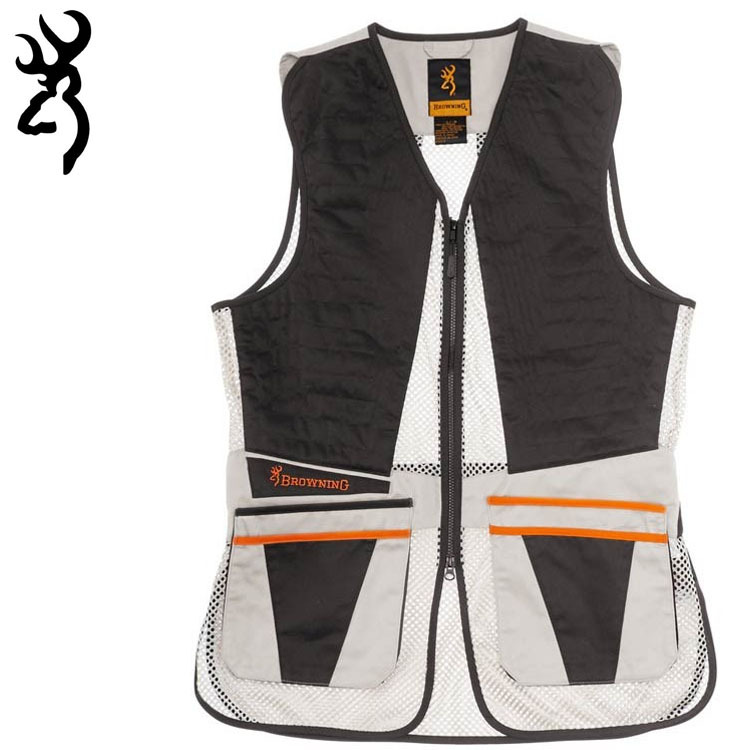 The Browning Ultra is an ambidextrous mesh shooting vest with lightly padded full length black shoulder patches featuring internal pockets for a Reactor G2 recoil reducer pad. The two double expanding cartridge pockets are easily accessible and above the right hand pocket is the Browning name and logo embroidered. The Browning name and logo is also embroidered onto the adjustable waistband on the back of the Ultra vest. The mesh pocket on the back is ideal for holding spent cartridges.